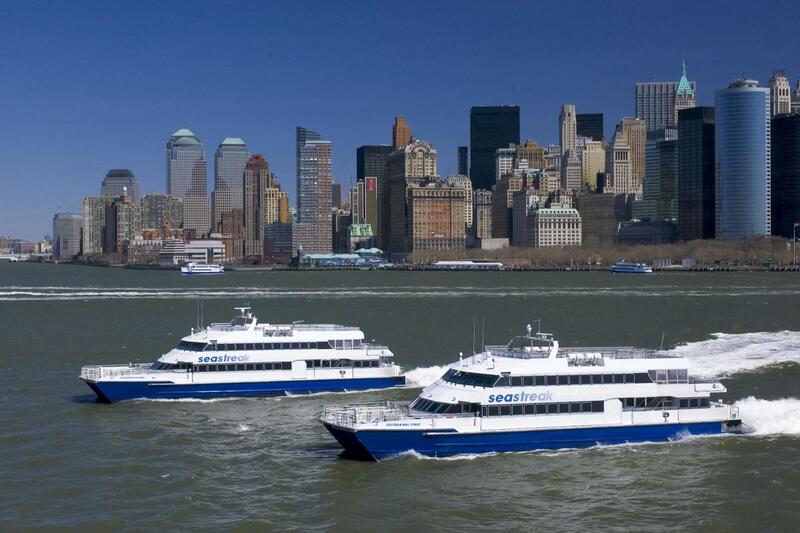 Commuter fast-ferry service from Monmouth County, NJ, or Rockaway Beach, Queens to Pier 11 (South–Wall Sts.) and east 35th St. in Manhattan. Ferry to Sandy Hook beach, Oktoberfest, West Point, fall foliage, and New Jersey. Self-guided sightseeing cruises. Kids ride free December through Memorial Day. Weekday and weekend departures. Group rates available and charters for special events. Special events. Function rooms, 6; capacity 149–405 cocktails.